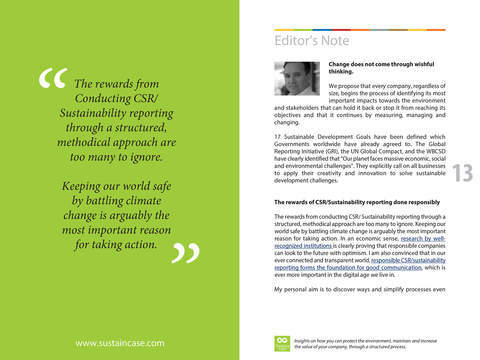 Operating in today’s world requires an enhanced focus on conserving Earth’s finite resources, addressing climate change and maintaining the well-being of the planet for generations to come. 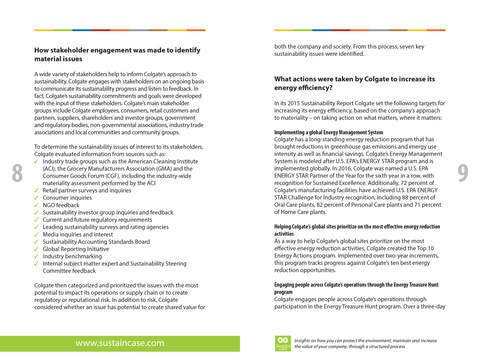 Colgate’s planet-related commitments cover the environmental issues material to the company and its stakeholders and, most importantly, its energy use. Consumers, nongovernmental organizations and other external organizations expect companies to do their part in the fight against climate change, reducing energy consumption. 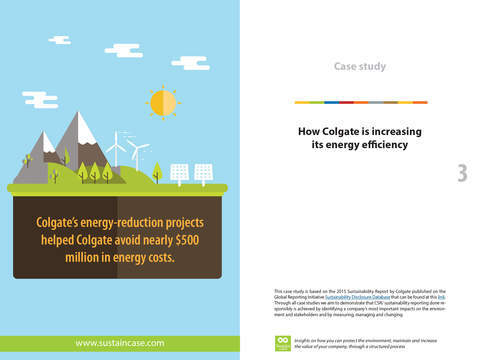 What is more, reducing Colgate’s energy use and greenhouse gas emissions also enabled the company to avoid costs: since 2002, Colgate’s energy-reduction projects helped Colgate avoid nearly $500 million in energy costs. 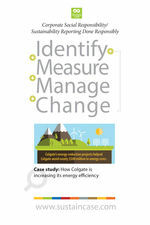 After measuring and setting targets, Colgate took action to implement a global Energy Management Program, help Colgate’s global sites prioritize on the most effective energy reduction activities through the Top 10 Energy Actions program, engage people across Colgate’s operations through the Energy Treasure Hunt program, invest in energy reduction projects through the 5% for the Planet program and, also, reduce energy consumption in Colgate’s plants across the globe through energy efficiency initiatives.